Daniel J. Murphy - dmurphy@shawmedia.com Lifeguards begin a waterfront safety orientation for new and returning guards Saturday May 19, 2012 at the Crystal Lake Main Beach in Crystal Lake. 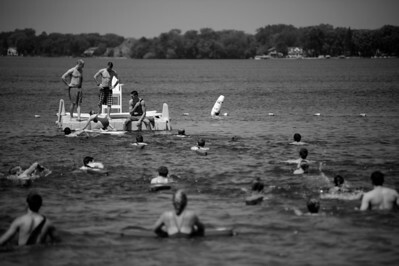 The Crystal Lake Main Beach is scheduled to open Saturday May 26th. Lifeguards begin a waterfront safety orientation for new and returning guards Saturday May 19, 2012 at the Crystal Lake Main Beach in Crystal Lake. The Crystal Lake Main Beach is scheduled to open Saturday May 26th.